Natural disasters have always posed a threat for supply chains. Last month in particular gave the business world one particular disruption to consider in the form of Hurricane Matthew. Since the hurricane hit the East Coast in early October, risk management company RMS has estimated that it would result in at least $1.5 billion in total U.S. losses. Florida's loss estimate alone could be as much as $2 billion, with the Southeast U.S. accounting for somewhere between $1 and $3 billion, according to a press release. The hurricane will most likely alert businesses in coastal areas the most, even those that weren't affected this time. While that could help build an effective response plan, it's important to put the risk into context to avoid misreading the situation. "It's important to put all supply chain risks into context." In January, Allianz featured a list of different global disruption risks, based on the total value noticed between 2010 and 2014. While storms were high on the list, second only to explosion and fire, they placed five points ahead of floods as a possible cause of disruption, according to Supply Management. The survey looked at 1,800 different claims from this time period and found that energy-related claims resulted in $4.3 million in average interruption losses. Keeping every threat in perspective also includes understanding the comparable risk between different types of disasters. Some of the costliest examples of supply chain problems have actually arisen from internal decisions rather than outside threats. In a globalized world, shipping lines can easily cross national boundaries and leave businesses with more concerns than usual to consider. Writing for EBN, Richard Weissman, an associate professor from Endicott College, said that Matthew is just an example of one type of supply chain risk, and that managers need to challenge themselves to consider others in a world where trends are changing. "The news, no matter how one accesses it, is full of stories that include terrorism, cyber attacks, geo-political upheavals, financial meltdowns and social unrest," Weissman wrote. "Any and all of these news stories, often centered hundreds or thousands of miles away, has a potential impact on business operations. Supply chain managers need to pay attention to more than the weather forecast." As global sourcing continues, companies may need to expand their awareness of risk while still taking localized storm damage seriously. Weissman also referenced a study from the World Economic Forum, "New Models for Addressing Supply Chain and Transport Risk." 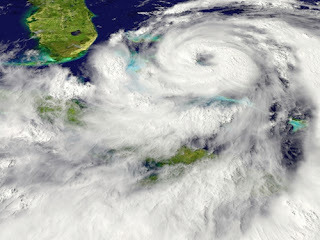 Statistics from 2011 included in the source showed natural disasters and extreme weather as the highest "uncontrollable" global supply chain disruption triggers. The report also referenced some of the "risks to watch," including both infrastructure failures and possible disruptions for company communications. Both of these can feel strain as supply operations become more complex, and the report added that globalization in particular can result in current risks spreading out. More than anything, businesses can use Matthew and other storms as a sign to invest in reliable supply chains.